American actor and singer Zac Efron starred in the hit movies High school Musical, 17 Again, Hairspray, New Year’s Eve, and many more. Zac is quite famous and extremely loved as a celebrity. Rolling Stone Magazine, called him, "The New American Heartthrob". Let’s find out a bit more about America's newest heartthrob Zac Efron! Question 1: Are you a gamer? Do you play a lot of video games? 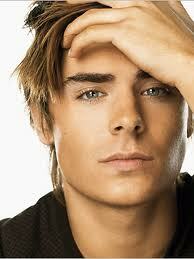 Zac Efron Answer: I play a lot of video games. Question 2: Are you tech savvy? Question: Are you tech savvy? Zac: Not really. I mean I have an iphone. These common questions tend to come up in conversation. For ‘small talk’, these questions are good and can be asked to anyone. They are helpful for getting to know someone. Question 1: Are you a gamer? Question 1: Do you play a lot of video games? Her question links the ideas or builds on the theme of games and technology from the first question and answer. The ‘question flow’ is quite smooth. Answer 1: I play a lot of video games. Answer 2: Not really. I mean I have an iphone. The first answer tells the listener about his leisure time habits. The second answer is quite smooth or subtle. I am not really tech savvy. But I do/can use iphone technology. I am not great but I am not incompetent with technology. I like this style because the answer is a bit humble but still tells the listener his skill level. I think this is a good example of why Zac Efron is a well-liked actor personality wise. 1. a gamer = a person who plays games; especially: a person who regularly plays computer or video games. 4. iphone = a line of Internet- and multimedia-enabled smartphones marketed by Apple Inc.